was destroyed in 1945. This cast is therefore a vitally important record of the destroyed marble. Such depictions of the Virgin and Child were devotional items, sometimes displayed, like this ones, in secular contexts. 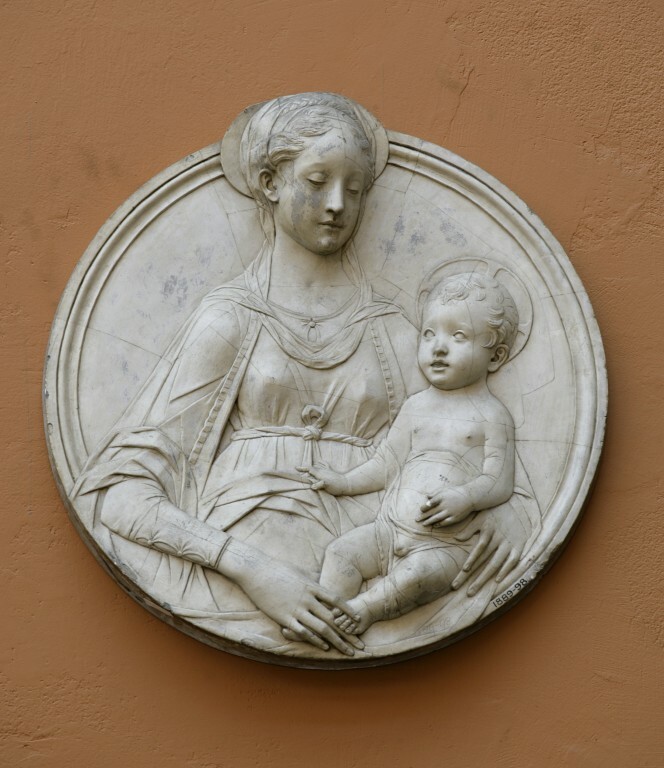 This object is a cast of a marble original roundel by Mino da Fiesole. 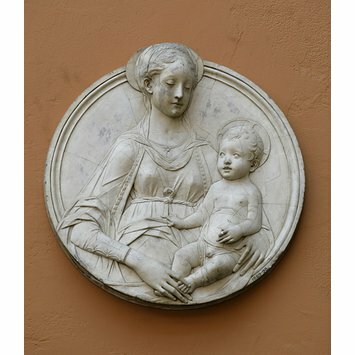 The original relief was formerly in the Palazzo Mozzi in Florence. It was acquired in 1885 by the Kaiser-Friedrich-Museum in Berlin and was destroyed in 1945. Formerly in the Palazzo Mozzi in Florence. The relief was acquired in 1885 by the Kaiser-Friedrich-Museum and was destroyed in 1945. This object is a 19th century cast of the 15th century original.